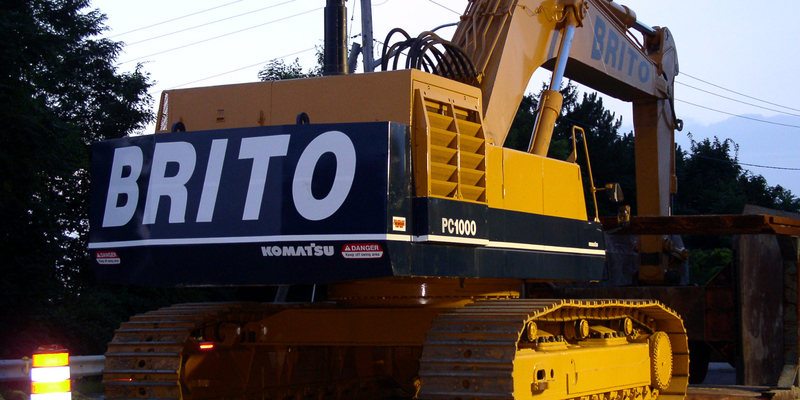 C. Brito Construction Co., Inc. and it’s affiliated company C.B. Utility Co., Inc. specialize in the construction of infrastructure systems including water and natural gas transmission lines, sewerage transmission and processing stations, storm drainage systems and site work. 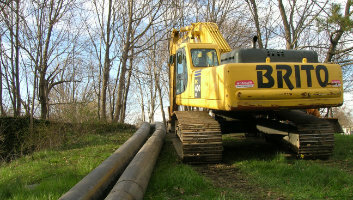 A multi-generational company incorporated in the 1950’s, C. Brito Construction Co., Inc. and C.B Utility Co., Inc. has established itself as a recognized leader in the industry and the premier contractor for emergency utility work, unparalleled in the region for responding to catastrophic failures of utility systems. C. Brito Construction Co., Inc. / C.B. Utility Co., Inc. has the expertise, equipment and manpower to undertake challenges of all magnitudes in utility construction, while maintaining one of the best employee safety ratings in the industry. 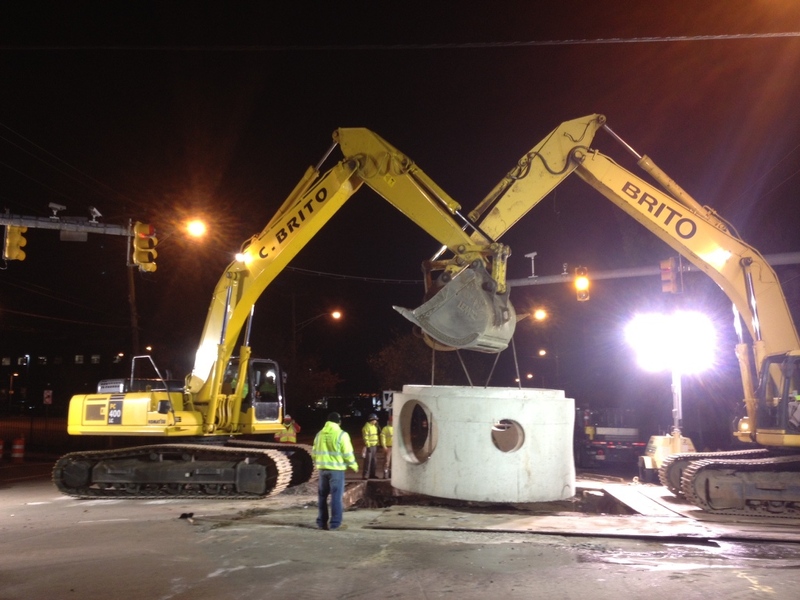 Complete bypass of 30” sewer force main with approximately 10-miles of 18” fused HDPE pipe, preserving historic . . . 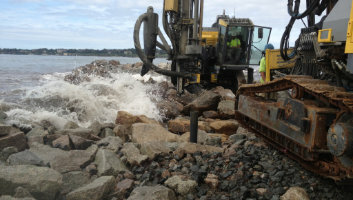 The Esplanade project involved construction of a riprap causeway, drilling & blasting of the seafloor and . . .
C.B. 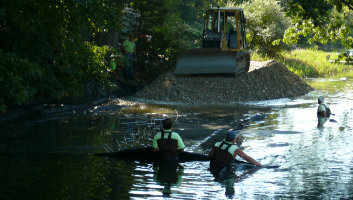 Utility installed approximately 10,000 linear feet of PVC & reinforced concrete pipe and over 180 catch . 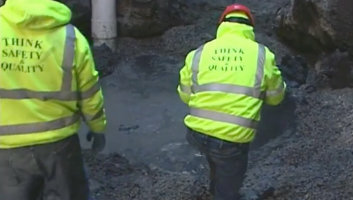 . .
Repair of a 48” RCP collapse and pumping station failure, shoring the site by driving steel sheeting and dewatering. 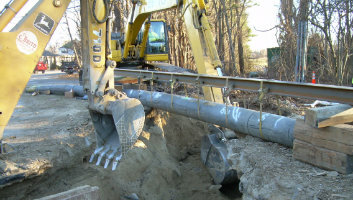 Complete bypass of 36” sewer force main with 37,000’ of 18” fused HDPE pipe, including tie-ins at 4 heavy-flow . . . 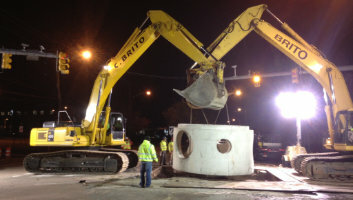 Bypass of 7920’ of 24” PCCP sewer force main with 18” fused HDPE pipe and installation of a 24” DI with . 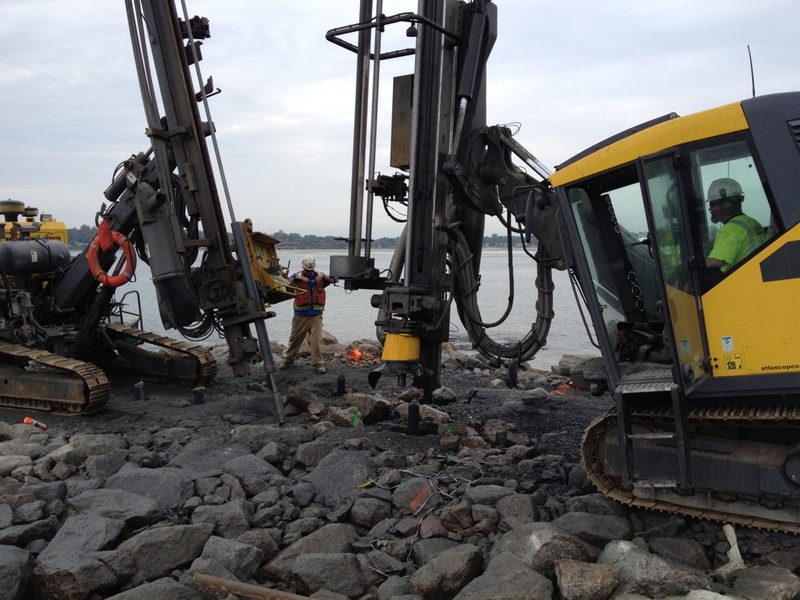 . .
Repair of a leaking 14” cast iron sewer force main located 45’ offshore under the Smith Cove tidal basin by . . .